Our services cover Reading, Basingstoke, Newbury, Thatcham, and Tadley & surrounding areas. With most orders being achieved within 24 hours of order acceptance. 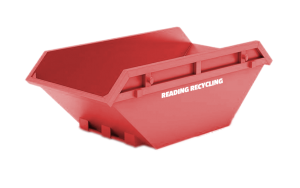 Reading Recycling Ltd also provide a wait and load service, garden clearance, ground clearance, ponds & swimming pools filled in with soil. ground leveling. jungle clearance, site & factory clearance.